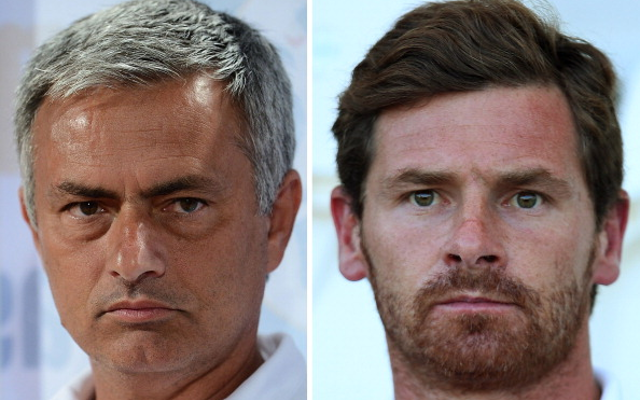 The former Chelsea and Tottenham manager Andre Villas-Boas has revealed to the Mirror, how his relationship with Jose Mourinho blossomed then deteriorated. Villas-Boas was a senior member of Mourinho’s backroom staff at Porto. Mourinho also hired the 38-year-old during his spells at Chelsea and Inter Milan. “In my formative moments working with Jose was the best time of my life – I was able to lean to many things and working with him takes you to another level,” Villas-Boas was quoted as saying by the Mirror. “You fall in love with him and he becomes your idol. “I wanted to be like him, know everything that he knew and absorb all the information he was giving. However, the report goes onto state that their relationship rapidly broke down when Villas-Boas was appointed as manager of Tottenham. “Then you fall on the wrong side of Jose and that’s when things change and you realise that you’ve been blinded by someone. “He has this fascinating capability of getting the best out of you, which has good or bad consequences for people. The former Porto manager spent a season and a half at Tottenham before leaving the club by mutual consent. The Portuguese tactician went on to manage the Russian league side Zenit Saint Petersburg. Villas-Boas departed Zenit at the end of last season, after leading them to the Russian title and Russian Cup during his two years in charge. Meanwhile, Jose Mourinho went onto manage Real Madrid and Chelsea for a second spell in charge, before being appointed as Manchester United boss this summer. The experinced manager has got off to a turbulent start with the Red Devils who find themselves in sixth place in the Premier League after seven games. United were held to a 1-1 draw by Stoke City over the weekend and host their bitter rivals Liverpool at Old Trafford on October 17.